In many ways, the answer depends on what matters to you. I started traveling the tennis tours regularly in 2009. Ten years later, my tastes and concerns have changed. Back then I was just grateful to be able to travel as much as I wanted and to be on the grounds to see as many matches as I could. It wouldn’t bother me to sit in the scorching sun to watch 10+ hours of tennis. For majors, being there in week one on an outside court was the ideal. 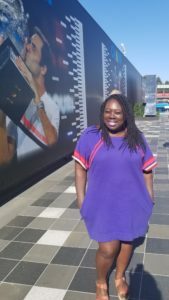 So, when I traveled to Roland Garros and Wimbledon in 2009 and could only secure grounds tickets for the outside courts, it was mildly annoying, but I was okay with it. I was at the tournament and that was enough. Over time, my desires have changed. I am now more interested in securing a great seat, which I won’t lose if I venture to the bathroom or food stands. I get to enjoy a match more fully. I don’t want to hop from match to match, catching a set here and there, I want to invest in and watch a match from start to finish. It’s for that reason that I have switched from the crowds and chaos of week one at the majors to the streamlined main court scheduling of week two. I now judge a major based upon the ease of getting main court tickets, the quality of the seating I can receive for a modest price, and the way the tournament supports my enjoyment as a fan. All majors generally sell out the final two days of their offerings by the time the tournament gets going, but both AO and USO do a remarkable job of making sure tickets are available on a first come, first serve basis. 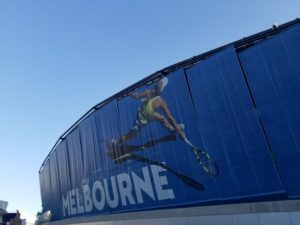 I decided I was going to AO in December 2018 and was able to secure tickets for 2nd week Monday and Tuesday very easily via AO’s website. I was also happy to see that if I wanted to just be on the grounds, I could secure ground passes as well. A sweet treat is AO’s packaging of grounds passes for multiple days as part of its ticket offerings. The USO would do well to consider that. It was just as easy to get early round tickets to USO. Unfortunately, the USO did away with its USTA member presale ticket deal a few years back and now offers them only for American Express cardholders. It makes tennis less accessible to the everyday fan and takes away one avenue of support for the sport as I stopped being a USTA member as a result. Yet, it is still easy to decide you want to go a few months after the regular sale has begun and get your tickets to Ashe, the main stadium. The ease of getting tickets makes the AO and USO more deserving of love than my experiences of Roland Garros (RG) and Wimbledon. Wimbledon is especially problematic because it simply cannot accommodate demand without its venerable queuing tradition, which became tedious after I did it in 2009. You can try your luck at daily released tickets on Ticketmaster but that also feels very much like a crapshoot. I think ticket releases should occur at a set time prior to the start of the tournament, so you can plan accordingly. You either get a ticket or you don’t. AO and Wimbledon definitely deliver here. 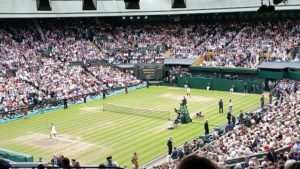 If you are lucky enough to purchase a ticket for Wimbledon matches, as I was in 2017, the seating on Centre Court is fantastic; there really isn’t a bad view. I was practically in the last row and saw better than I ever could on Ashe’s last row. 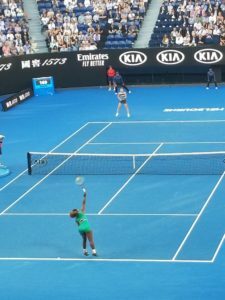 This was my view for the ladies final at a cost of $200 US. Similarly, AO’s Rod Laver Arena is a wonderful place to watch tennis. I paid $138 US for a Monday night session and $143 US for a Tuesday day session and had no complaints about the seat view. While Ashe’s size makes it easy to get a ticket almost up to the day of attending the USO, it’s simply too expensive to get tickets of a comparable view to those you get at Wimbledon or AO. 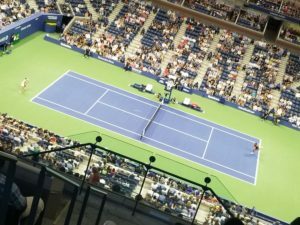 For the same price point, you are only able to get upper level promenade seats on Ashe, which means the players look like ants and people are moving constantly around you. It lacks intimacy and can make it difficult to stay invested in a match. I have no means of comparing RG, because I was never able to purchase tickets for their main stadium online. Finally, does the tournament signal it values me as a fan? Obviously, a tournament values its sponsors and its corporate or high end ticket holders. That’s easy enough to do. However, does it value someone like me who is an ordinary, pay as I can ticketholder? I feel valued when I can eat or drink without spending a fortune; when the bathrooms are well maintained, accessible, and able to accommodate demand; when it’s easy to navigate to the tournament without getting lost because of good signage; and when the grounds allow you to feel comfortable, particularly as it relates to inclement weather and crowd control. I find that all the majors struggle with a mix of these elements. Walking to RG and Wimbledon is easy enough, but a lack of signage created some confusion about getting to the sites. The USO and AO helpfully direct you with a dedicated walkaway. USO is especially good if you take public transport as it has a dedicated metro stop and will occasionally have express trains that can get you out of the area quickly once matches end. I found the food at Wimbledon to be the best value as well as the best tasting. I don’t generally do the fancy restaurants, so this is mainly about the concession stands. Here, the USO is the most expensive and leaves me feeling like I am being taken advantage of because am I trapped on the grounds. RG was reasonable in price, but I don’t remember feeling particularly happy with the offerings. All sites seek to create places for you to take breaks and feel comfortable. I found Wimbledon and AO to be the best at this. Wimbledon’s manicured grounds is pretty with spots to sit and relax when not in the stands. 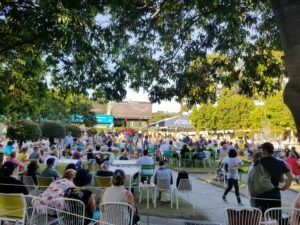 AO has much more of a sporty and relaxed vibe with so many lounge options that I felt like the grounds is as worthy as the stadium. RG was just miserable and crowded with few places to sit. It rained while I was there and that turned out to be a nightmare of folks scrambling for the few places to take shelter. The same struggle occured at USO which offered only a few places to take shelter when it rained. Luckily, if you do have main stadium tickets at USO, Wimbledon, and AO, your tennis watching can continue in inclement weather, which is a wonderful relief. God bless roofs. Overall, the AO offers the best fan experiences for me as a traveler. It hits the mark on most of the things I value. Wimbledon would have as well, if it had a more sensible and accessible ticketing system. However, if just getting to a slam is important to you, USO bests Wimbledon for 2nd place. You can control your access to tickets, even if Ashe is a monster. So, if you want to get on the road to see a major, I would suggest putting AO or USO on your list. Those two offer the most egalitarian approach to tennis for a traveling fan with a modest budget. * This post focuses on accessing and enjoying the majors only. It does not consider flights and accommodations, which will impact overall costs. A major in your backyard might be the cheapest option, but not necessarily the most enjoyable one. Great post, Andreen, I agree with most of what you wrote. Wimbledon was the biggest disappointment for me: value for price paid was low. Of course it rained and Fed lost early, so that may have colored my experience. USO has virtues but is just too crowded. 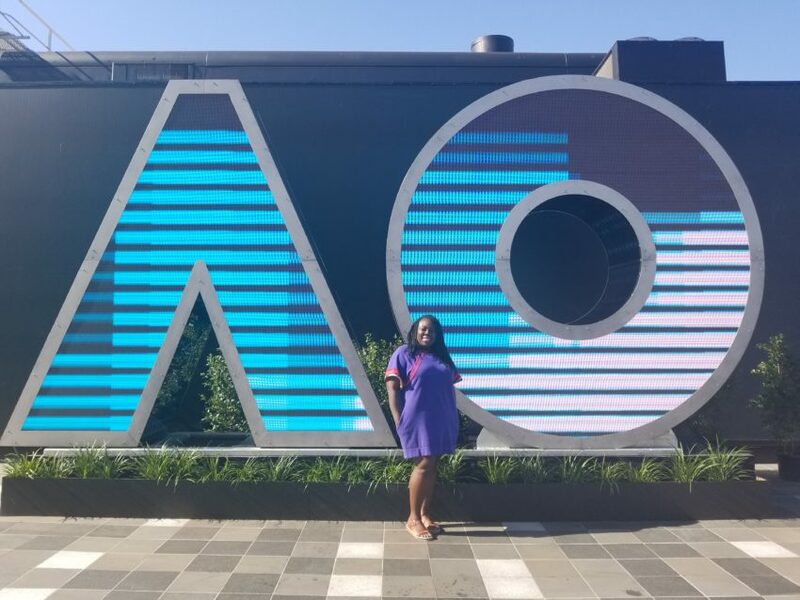 AO was the best experience, despite crippling heat. Haven’t been to RG and probably won’t get there. If Federer decides to play it, I might risk just going for week one if I can get my hands on tickets for the new and improved RG. Yes, USO really disappoints with its crowds. AO was such a treat. I was fortunate to avoid the hot days, so I didn’t experience that misery! Love the post! This post definitely left me feeling informed, just the information one is looking for when making decisions regarding travel and purchasing event tickets.